Colombia’s rich diversity can be matched by few nations. Colombia overflows with amazing diversity all the way from the tropical Caribbean coast to the beautifully rugged snow capped Andean mountains. From the sprawling bustling cities of Bogota, Medellin and Cali to the wild untouched beauty evident in the lush Amazon region and the wild Pacific Coast. Colombia showcases colonial charm in abundance with the picturesque Spanish cobblestone cities and villages like Cartagena and Mompox. While delving back further into the past is not difficult when visiting ancient archaeological ruins such as Ciudad Perdid, San Agustin and Tierradentro just to name a few. Such an amazingly rich diversity will keep you captivated and wishing you had more time to spend in Colombia as you will soon find there is definitely something for everyone here. Unfortunately all to often when the country of Colombia is mentioned one of the first thing that comes to ones mind is Pablo Escobar, cocaine, drug trafficking and even violent murder. It is a dark stereotype that has haunted Colombia and it is one that this vibrant nation is desperately trying to shake. Even to this day this dark stereotype makes many reluctant to visit Colombia. Slowly but surely this beautifully vibrant South American Nation is starting to do just that as Colombia is rapidly becoming one of the major tourist hotspots in the South Americas. Countless travelers are flocking to this spell binding country in their droves. Testament to Colombia's stability and the emergence on the world tourist map the country was ranked the second best country in the world to visit by TripAdvisor in 2016 following closely on the heels of Canada. This ranking may have been a great surprise to many but not to those had personally experienced the magic of this South American Nation. 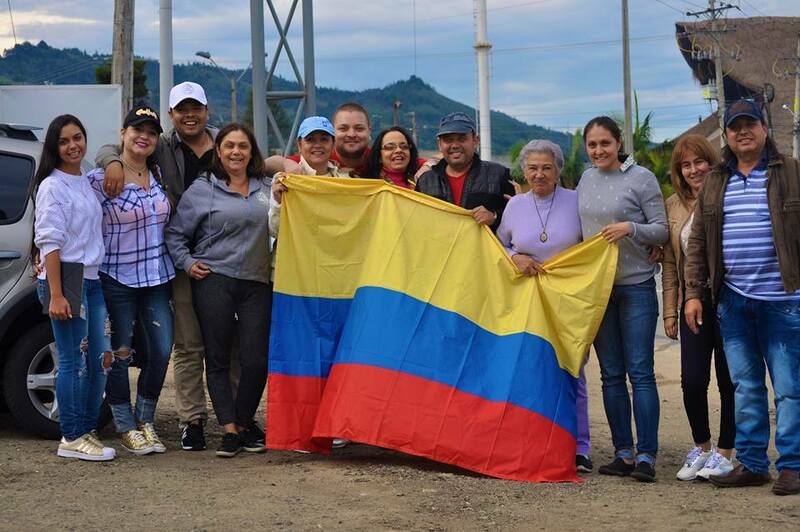 Colombia has a fledgling tourist industry which becoming more and more tourist friendly by the day as their Government invests heavily in tourism and security while friendly locals do their part with warm welcomes for foreign travelers. On a whole I found the majority of Colombia to not only be safe but to be among one of the safest countries I visited in South America (although basic safety precautions are recommended especially in large city centers). When dining in Colombia all of your senses will be fully engaged when you encounter vast assortment of delicious dishes from all corners of the country. Colombian cuisine draws strong influence from of its indigenous Chibcha, Spanish, African, Arab and even Asian backgrounds and you will discover that the food differs greatly from region to region. The typical dish of Medellín is the Bandeja Paisa, an extremely large and heavy yet delicious dish which is made up of a platter of beans, rice, ground meat/carne asada, chorizo, fried egg, arepa, chicharrón, avocado and tomato. While in the sprawling city of Cali, their prized dish is "Sancocho de Gallina" - a soup composed of chicken, plantain, corn, coriander and yuca root. In sprawling Bogotá and the Andean region, Ajiaco is the dish most renown, a hearty chicken and potato soup. Along the Caribbean coast you will encounter spicy cooking, with fish, lobster and coconut being key ingredients here. If it is mouthwatering barbecues that you desire then the "Ternera Llanera" and fish dish of "Amarillo" will satisfy your cravings. Finally, if you venture as far as the Amazonas you will encounter strong Brazilian and Peruvian influences as well as countless succulent exotic fruits. 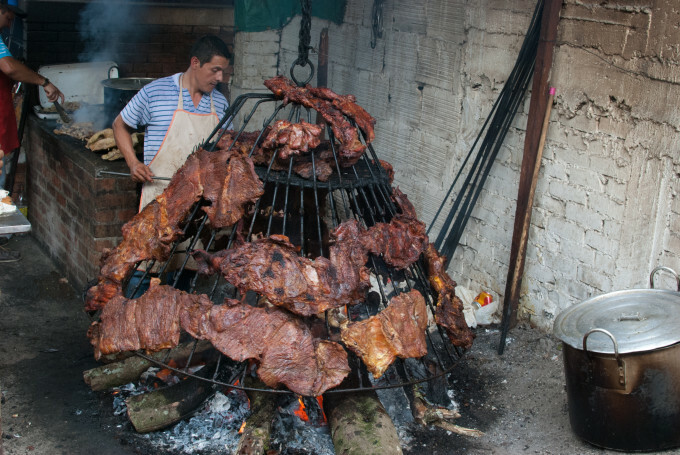 Visit Colombia, your taste buds will thank you for it! I might cop a bit of flack for this entry but there is absolutely not arguing the fact that Colombian woman are among some of the most stunningly beautiful on the planet as any visitor to this nation would likely attest. Long flowing brunette hair, deep brown eyes, perfect high check bones, full lips ad even fuller hips and cleavage are the attributes that would make up the stereotypical appearance of a Colombia woman and believe me these favourable stereotypes are not wide of the mark. Colombian woman are blessed with stunning natural beauty as a clear result of a unique genetic mix hailing from mostly Spanish, African and indigenous Indian backgrounds. When you visit Colombia you will fall in love a million times over as you will soon learn that these sassy, sophisticated, at times complicated, passionate vibrant Colombian woman are quite unlike any other woman on the planet! Be warned as you might just leave your heart behind in Colombia! Colombia’s Caribbean coastline has been proving increasingly popular with foreign tourists in recent years and not without due reason. Colombia’s picturesque and dramatic sun soaked Carribeen coastline is oozing with a rich vibrant culture and natural beauty. Picture unspoiled empty Caribbean beaches with crystal clear turquoise water, lush jungle rain forest of the Parque Nacional and quaint Spanish Colonial cities such as Cartagena ( a little overly touristy for my liking) and Mompox and not to mention the mysterious ancient lost cities in the mountainous regions. On this stretch of Caribbean coastline you will encounter an easy going, relaxed and friendly vibe balanced by a vibrant nightlife. There is no better place to soak up the sun and unwind than Colombia’s famed Caribbean coastline. Choco on Colombia's Pacific coast is only accessible by plane or boat. Worth the flight? The backpacker life in El Valle, Choco. My visit to the Pacific Coast of Colombia was definitely one of the main highlights of my visit time in this beautiful country. Despite this secluded region of Colombia being home to the most beautiful and untouched coastline in the Latin Americas it is not exactly a hotspot for travelers and not without reason. This stretch of coast has long flown under the tourist radar, likely from a combination of isolation and the long shadow of a violent past. As recent as ten years ago this beautiful coastline of Colombia was a no-go zone infested with left-wing guerrilla groups, paramilitaries, and drug traffickers battling for control of the main drug trafficking route in Colombia. Choco is slowly becoming one of the best tourist locations in the nation, overflowing with untouched natural beauty and an abundance of wildlife. The region is so rich in wildlife as it is regarded as one of the most bio-diverse places on the planet. Nature here just seems to be so much richer, greener, lush and vibrant. The coastline here overflows with natural beauty where thick Colombia jungles march all of the way down to the black sandy rugged shoreline. If you were to come here during the whale season you could well be sharing the ocean with numerous humpback whales who migrating up the coast. Choco is a refreshing alternative and stark contrast to the heavily tourist saturated Caribbean Colonial town of Cartagena. Read more about my time on the Pacific Coast here. The Amazon is high on the list of amazing places one must visit before one dies. The Colombian Amazon Basin is a mere two hour flight from the sprawling Capital City of Bogotá and is perhaps the easiest point in South America to access the Amazon. A journey traveling up the powerfully raw Amazon river is a true sight to behold. Rich thick green Amazonian jungle lines the banks of the Amazon contrasting strongly with the murky brown waters and the clear deep blue skies above. Every so often you will pass by thatched houses of indigenous settlements lining the river banks. What's more, is this region is where the mythical pink freshwater dolphins thrive as well as many, many more amazing animals. If you are visiting South America please, please, please make sure you make an effort to visit the Amazons. I guarantee you that it will be one of the most amazing and unforgettable experiences of your life. You can read more about my adventures in the Colombian Amazon here . Medellin, formerly Pablo Escobar’s backyard stronghold and once ranked the most dangerous place in the world outside of a war zone. During this period Medellin locals would of described their city as hell on earth yet the turnaround that this amazing city has experienced since Pablo's death in December of 1993 is truly remarkable. Sprawling Medellin has gone from a virtual no go zone for foreign Nationals into one of the most prosperous, modern, attractive, safe and well organised large cities in the Latin Americas in less than twenty years. Medellin is hands down one of my most favourite cities in the Latin Americas alongside Brazil’s Rio de Janerio. This fascinating metropolis is situated in a deep valley and is efficiently connected by a fast modern metro system that does not look anywhere near it's twenty years of age. The powers that be in Medellin had great foresight, rejuvenating the city by taking on ambitious social projects to transform many of the poorest and most dangerous areas of the city into positive modern areas through a perfect fusion of art, infrastructure investments and positive community projects. What this amazing city has achieved within such a short time frame can act as a guiding example throughout the Latin Americas and even the world. Paisas (Medellin locals) among some of the friendliest people in Colombia welcome the sight of foreign tourists flocking to their beloved city as it symbolizes that the bloody past is behind them and that their city is finally in a much better place. 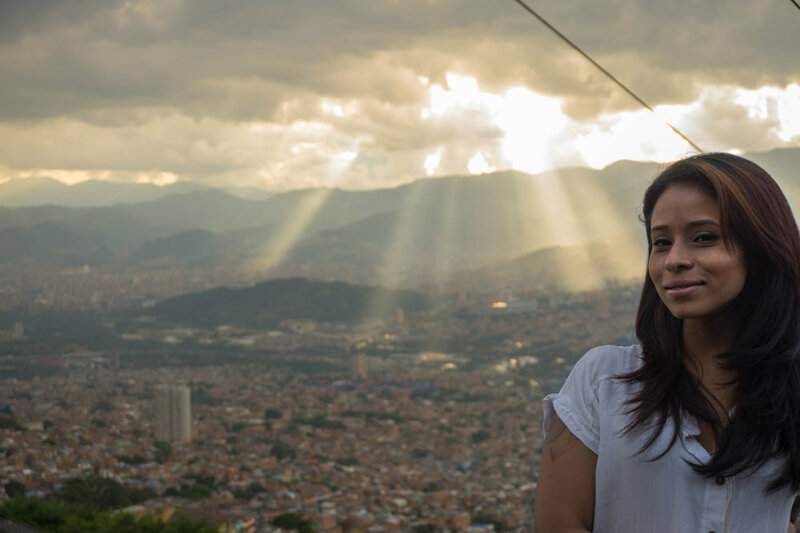 Why not visit Medellin and find out what all the fuss is about? Comuna 13 former Pablo stronghold now rejuvenated tourist attraction. This is a highly controversial entry but please hear me out on this one. Colombia was a country literally torn apart by the violent actions of one man, the infamous drug lord Pablo Escobar and he is unfortunately the one thing that Colombia is most famous for. Sadly many travelers still opt to visit Colombia primarily for drug tourism and the Pablo Escobar factor. Colombia is a country that has been torn apart at the seams as a direct result of drug related crime and it is a nation that is trying in it's earnest to put this dark history behind them and move forward. Proud Colombians fiercely hate the strong negative stereotypes that they experience as a nation the world over. One may argue that these damning stereotypes are there for a reason and I believe that it is important to understand the complex history of the country before you visit as it helps to illustrate the strong resilience of the Colombian people. These people have been through hell and back a dozen times over. By understanding Colombia’s turbulent history you will generate a high level of respect for the lengths that the nation has gone through to slowly rebuild this amazingly vibrant country piece by beautiful painstaking piece. What Colombian has achieved since the death of Pablo Escobar is truly phenomenal and the country is now a mere shadow of the dangerous country it once was. In summary, this entry is not to glorify the violent actions of one man but it is to praise the amazingly resilient Colombian people were able to overcome him and allow their nation to rise like a Phoenix from the ashes. Amazing, amazing people and this leads me perfectly to my number one entry. For myself and many travelers the major highlight of our Colombian experience was not the unique sights and sounds of this beautiful country but the great warmth, friendliness and passion of the people calling Colombia their home. The Colombian people are definitely among some of the most welcoming people in the Latin Americas if not the world. Humble and hospitable, Colombians will go well out of there way to make you feel welcome and help you if needed. My Christmas and New Years period was in Colombia and I was fortunate enough to be invited to spend it with a good friend and his Colombian family. This amazing family went well out of their way to welcome a complete stranger into their home and readily accepted me to the point that they were calling me “Primo” (Spanish for cousin) by the end of my stay. I was fortunate and thankful to experience a true Colombian xmas and it was definitely an experience I will always treasure and never forget. While Colombia may prove to be one of the most beautiful, diverse and culturally rich countries you will ever have the pleasure to visit but it will be the Colombian people that will leave you with the longest lasting impression and make your visit to this great country one of the greatest experiences of your life. Viva Colombia!